Three tools have been developed by BGD project partners to effect better understanding of, and responses to, the challenges of urban environments. 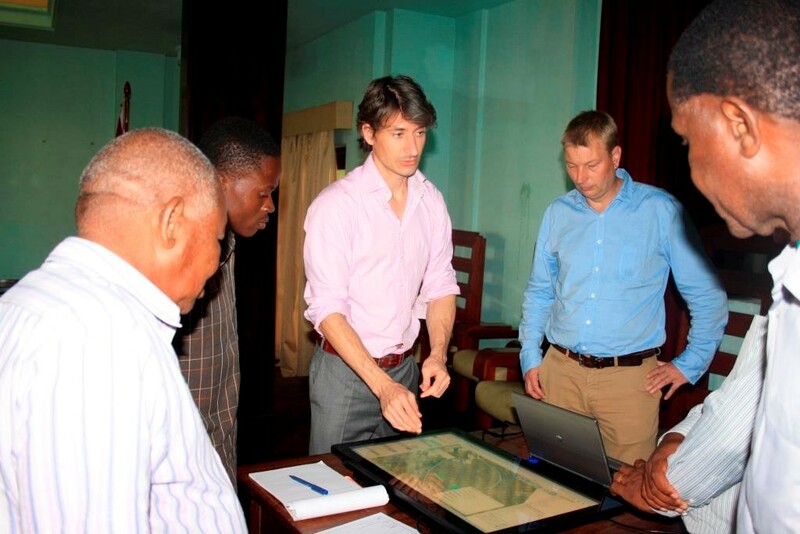 Multi-Hydro was developed by Ecole des Ponts ParisTech, with support from Veolia. The AST has been developed by partners Deltares and Alterra, in collaboration with Bosch Slabbers, TU Berlin and Arcadis. 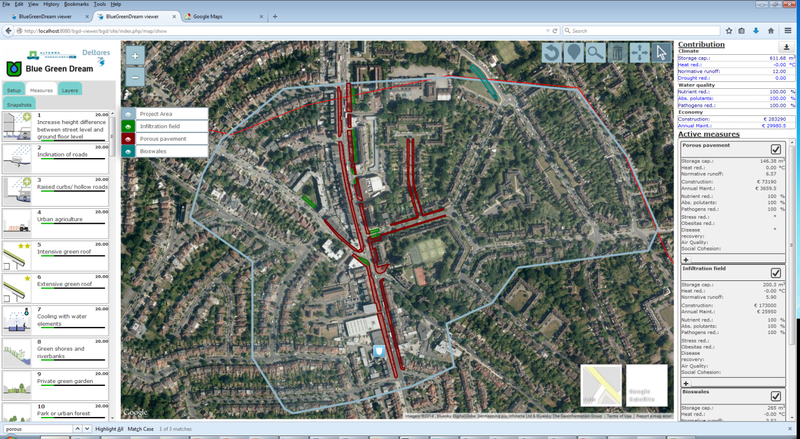 The AST displays the impact of proposed measures against multiple urban parameters. By providing to stakeholders key figures on performance, costs and co-benefits, the AST enables stakeholders to make informed decisions. Hence, stakeholders can deploy expert knowledge to achieve a mutually beneficial outcome. For further information on the AST, a flyer is available here. The UWOT was developed by BGD support organisation ICCI (the work was led by Dr. Christos Makropoulos). UWOT is a mature tool that simulates the urban water cycle by modelling usage of water from the household appliance level upwards. 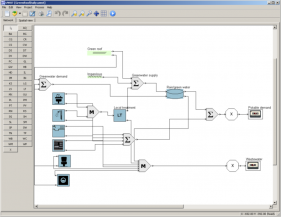 In the context of the BGD, it is able to simulate the effects of BG Solutions on a network of buildings and predict water/energy savings for different future scenarios (e.g. climate change, population growth). 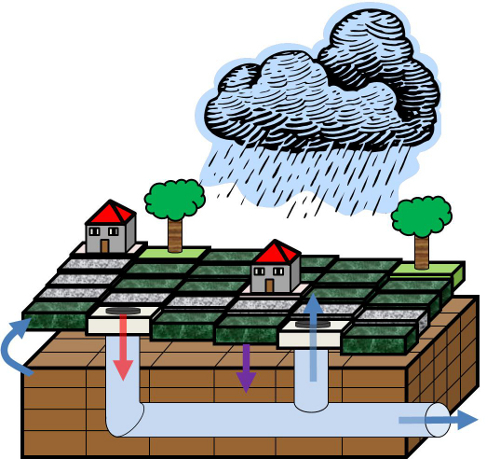 Typically, for a household water network, it would be employed to estimate the effect that measures such as rainfall harvesting and green roofs would have on potable demand, runoff and wastewater volumes and energy fluxes (including evaporative cooling). UWOT is able to simulate both supply- and demand-side strategies and systems within a common modelling environment. 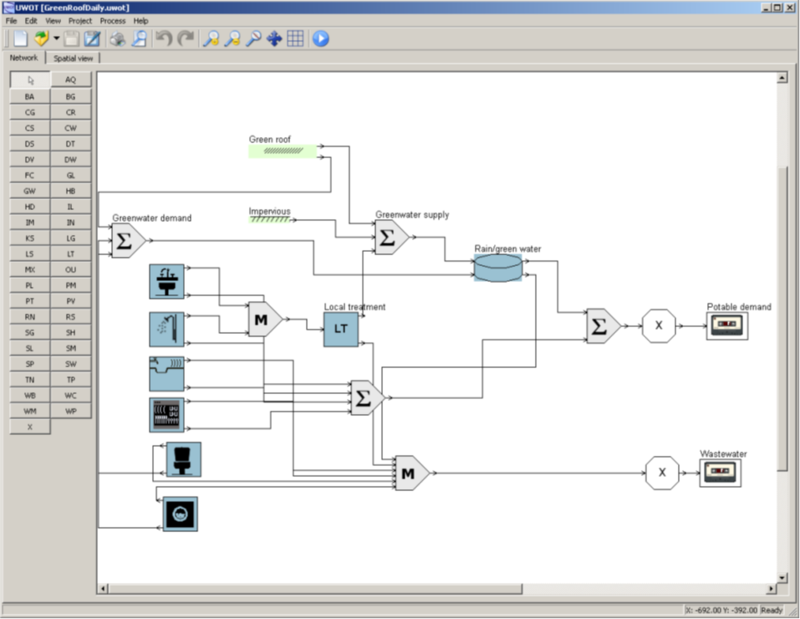 In particular, it enables the simulation and optimisation of the complete urban water cycle (at the water balance level), including abstractions from the hydrosystem, operation of reservoirs, transmission of water, water treatment, distribution, water consumption at the appliance level, sewerage network and treatment and finally disposal to the water bodies. 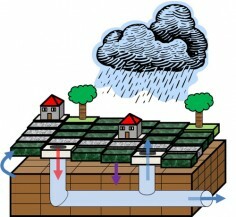 In doing so, UWOT provides a common modelling environment for the whole urban water cycle from source to tap and back.